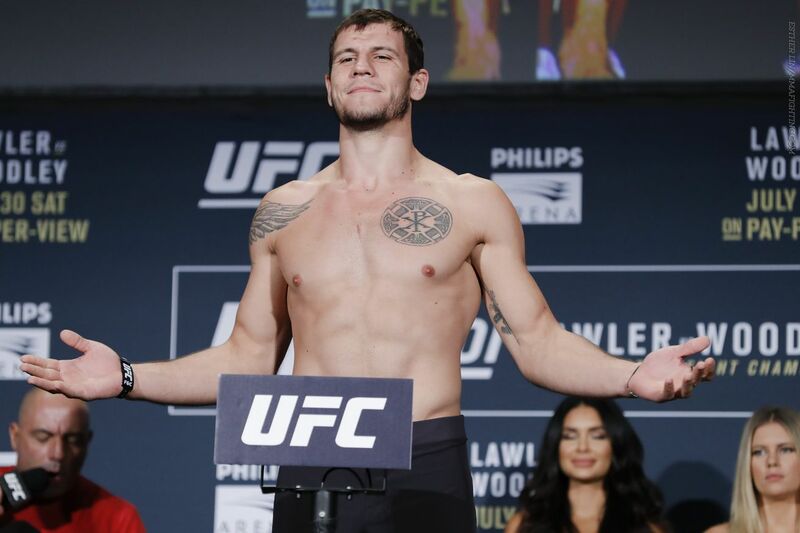 Win or lose, Ukraine’s Nikita Krylov has never gone the distance in his mixed martial arts career. That held true for the 25th time on Saturday night at UFC 201, as the 24-year-old light heavyweight prospect landed a brutal head kick knockout finish of veteran Ed Herman for his fifth consecutive win. Both fighters were exchanging blows in close early in the second round when Krylov landed a perfectly placed and beautifully executed left kick to the head, which sent Herman faceplanting to the mat. The bout was waved at the 40-second mark at Atlanta’s Philips Arena. Herman (23-12) lost for the second time in his past three fights and has alternated wins and losses over his past seven.